New month, New Steel Mace Workouts. 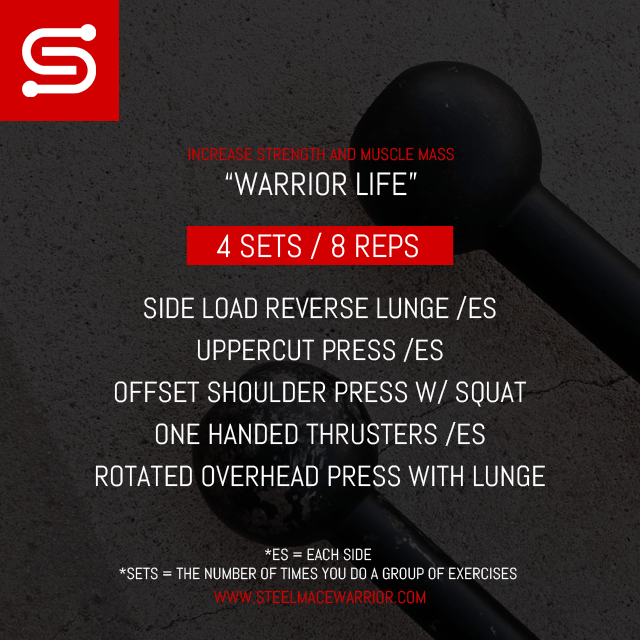 I wanted to create a workout that would build strength and muscle mass like a warrior and here it is. I hope you enjoy it. Look out for more workouts this month and make sure to subscribe to my mailing list to get all my WOD’s directly to your email for free. Now go, test this workout and start moving like a warrior.